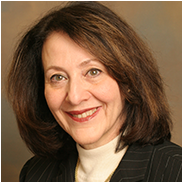 Susan Bershad is a Director in Metrus Group’s Solutions practice, focusing on designing and implementing measurable approaches to talent management, strategic alignment, human performance and capabilities, and service quality. Ms. Bershad has deep consulting experience in many areas, including talent management, strategy development and scorecarding, change management, executive team development, employee surveys, and performance improvement. In particular her work in developing data-driven solutions to closing leadership and performance gaps, as well as her work with Johnson & Johnson’s well-reputed Credo Survey, informs her consulting perspective. Before joining Metrus Group, Ms. Bershad was the director of the Johnson & Johnson Consulting Group, where she built a team of 30 professionals known for providing strategic and operational consulting solutions to Johnson & Johnson companies around the globe. Ted’s unique skills are based on 25 years of experience as a mediator, executive, consultant, trainer and coach. His specialty lies in assisting executives in addressing and resolving issues in business strategy, conflict management/negotiations, organizational and leadership development and team alignment. His background further includes experience in facilitating strategic planning and alignment sessions with senior management teams. He has been noted for his work in enhancing leadership capabilities for organizations through individual executive coaching, facilitation of strategic alignment and strategic planning for leadership teams, and leading leadership effectiveness programs in conflict management, negotiations, asserting influence, among others. His experience spans many industries including financial services, pharmaceuticals, energy and hospitality. 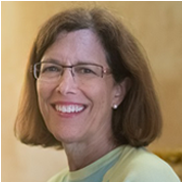 Leslie A. Guth, Ph.D. is a Senior Associate Consultant and Solutions Advisor intent on helping organizations work more effectively and efficiently, with practices that improve interactions and collaborations. She previously worked 25+ years at AT&T, Lucent Technologies, Bell Labs and Alcatel-Lucent, in both line management and corporate roles. Those jobs included leading both large and small teams as well as supporting innovations and transformations in Agile/Lean, IS/IT, product development, manufacturing, operations, and enterprise architecture. Dr. Guth is a Bell Labs Fellow and received a Ph.D. in engineering from the University of Pennsylvania. 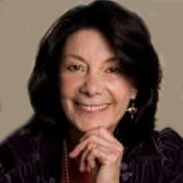 Marisa Harris’ life work is to empower individuals, teams and organizations to apply the principles and strategies of success to their most important professional and personal goals. For 20 years, she led cutting edge business breakthroughs at Celanese Corporation, Citicorp and CIT. Marisa was part of an executive team at CIT; in that role, she worked in partnership with Metrus Group to pioneer the Balance Scorecard at the company. This effort resulted in a moderately performing division of CIT becoming #1 in its industry. She decided to apply the same business success principles to her own diagnosis of stage 4 pancreatic cancer, leading to her cure. She has since helped hundreds of people to overcome both personal and professional obstacles. Her work has also resulted in numerous TV appearances and media reports. 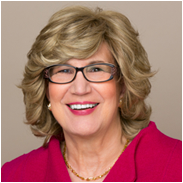 She is the inspiration for Metrus CEO William Schiemann’s most recent book, FULFILLED! Critical Choices: Work, Home, Life. Marisa and Metrus have now teamed up to provide a training program, based on the principles in Fulfilled!, that contributes to the success and well-being of the organization through the fulfillment of its people. 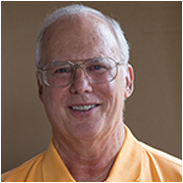 John Lingle joined Metrus Group in 1989, and currently serves as Principal Consultant. He has been involved for two decades in organizational consulting both in the United States and overseas. Most recently, Dr. Lingle has focused his consulting efforts on helping organizations implement their critical strategies, primarily via the design and implementation of organizational performance measurement systems. He has organizational development experience in a broad number of areas including: strategy formulation, executive decision-making, employee survey design and implementation, strategic performance management and measurement, team building and strategies for effecting organizational change and development. He began his career as a Foreign Service officer working with the Peace Corps in Venezuela developing Peace Corps assistance programs for government and private industry. 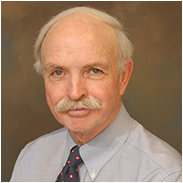 Dr. Lingle also spent seven years on the Rutgers University faculty and has published multiple articles on decision-making and performance measurement systems. He is co-author of, Bullseye! Hitting your strategic targets through high-impact measurement (Free Press 1999). 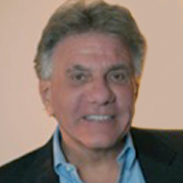 Matthew Mangino is a senior consultant with a solid track record of success, providing insights and solutions to enhance the performance and effectiveness of knowledge workers, managers, teams, departments and key business units in a wide-range of domestic and international companies. Matthew has driven large-scale innovation, transformational change, employee engagement and organizational development initiatives throughout North America and Europe. He has helped leaders at all levels to better align and leverage the full diversity and capability of their workforce. He has developed customized competency models for departments up to entire companies, and helped to integrate these models into selection, onboarding, development and succession planning. He is also an experienced individual coach, and has supported leaders at all stages of their careers. Some of his research can be found in top publications, including Primal Leadership: Learning to Lead with Emotional Intelligence by Daniel Goleman, et al, and the Organizational Development Journal. Over his career, he has held senior leadership and organizational development positions at Deloitte, Coopers & Lybrand, KPMG, Johnson & Johnson, and Gartner. Laura, the president of MindShift Solutions, is a client-focused coach with a solid grasp of both business and people goals. She is highly successful in working with clients who are expected to achieve innovative results through others within time-intensive deadlines. Her innovative coaching methodologies for increasing an executive’s capability for thinking have enabled leaders to exceed business goals. Laura has extensive coaching experience across many industries. She has particularly deep experience in financial services, telecommunications, manufacturing, pharmaceuticals, global outsourcing, insurance, public relations, oil and gas, not-for-profit and publishing. American Express, AT&T, J.M. Huber, Merrill Lynch, JPMorgan Chase, Reuters, Pfizer, Telcordia, PSEG and Sony are among the clients to whom she has provided her coaching expertise. Prior to launching Mindshift Solutions, Laura held leadership positions with AT&T, Reuters, American Express and Merrill Lynch. Brian serves as a Director of Assessment Services for Metrus Group, focusing on strategic uses of employee surveys to predict customer satisfaction, financial performance and other key business outcomes. He has over 25 years of experience in the design and implementation of employee surveys, strategic measurement systems, internal customer surveys, and employee/customer linkage studies. As a result of his diagnostic work, companies have refocused their efforts to communicate mission and direction; developed performance management systems designed to link rewards to customer satisfaction improvement, implemented continuous improvement initiatives, and expanded their use of cross-functional teams. His work spans a wide spectrum of organizations in financial services, manufacturing, publishing, health care, telecommunications, information technology, government, higher education, and utilities. Dr. Morgan’s work has appeared in many business publications, including Harvard Business Review, Handbook of Business Strategy, and The Journal of Strategic Performance Measurement. His most recent book, Hidden Drivers of Success: Leveraging Employee Insights for Strategic Advantage, was published in April, 2013 (co-authored with W. Schiemann and J. Seibert). Stephen is a Metrus Executive advisor, focusing on Leadership development, large scale cultural change processes, HR team transformations; and the full spectrum of Talent devilment and employee engagement. Stephen has been a CHRO for over 15 years and has lead HR projects in over 50 countries. His current consulting practice includes Non-profits such as Volunteers of America and smaller companies like NSA a successful REIT. Before consulting, Stephen was CHRO for Total Wine, a B2B retailer. He was with Nestle SA for 25 years, 12 of which were outside the US. His roles included CHRO for the UK & Ireland; CHRO for Asia/Africa/ME; VP total rewards/HRIS/HR operations; as well as 8 years with the North America Food service division. Key accomplishments included: leading the introduction of HR shared services at Nestle UK & Ireland, and leadership of a multi-year cultural change and leadership development transformation called LEAD2WIN. Stephen holds a BA degree in American Civilization from The George Washington University. He has completed a strategic HR education program at Harvard and Authentic Leadership training from The London Business School, Stephen is active in HRPS, including serving on the Fall Forum Planning Committee. Stephen also volunteers for Jusoor, a charity which helps Syrian refugees. 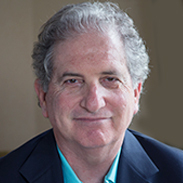 Steve Ginsburgh is Executive Consultant with Metrus Group, focusing on strategic talent development and HR leadership. His 39 year career of HR accomplishments spans several industries including: aviation, consulting, energy, beverage, chemical, and utility. He has led projects globally on all major continents. Steve is the former Senior Vice President of HR and Workforce Development for Universal Weather and Aviation, Inc. As a senior HR leader his companies were selected as a Best Places to Work in Houston on eight occasions. At Universal Weather, his departments’ projects were nominated for ten separate HR Houston Impact Awards and achieved the Organizational Excellence Award in 2010. He was selected for the HR Executive magazine’s Honor Role in 2012. Steve’s education includes an A.B. degree in psychology from Washington University in St. Louis and an A.M. degree in LIR from U. of Illinois at Champaign – Urbana. He achieved his SPHR certification in 1995, and has written and contributed to multiple publications on leadership and HR’s strategic role in business success. He has presented at ASTD, SHRM, SHRM Foundation and SIOP conferences. He served in the Navy on an aircraft carrier during the Vietnam era. He has served as the President of the Board for Literacy Advance of Houston and SER Jobs for Progress, and as a board member of the SHRM Foundation. Allan is an executive consultant specializing in leadership development and the design, implementation and integration of HR processes and employee development programs. 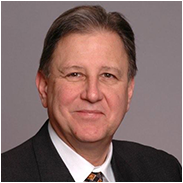 Prior to his consulting work, Allan had a successful 31 year career at Johnson & Johnson. During his tenure as Chief Learning Officer, Johnson & Johnson was rated number one in the industry for talent development, succession planning and training and education. He is credited with creating the Johnson & Johnson E University, the executive leadership curriculum for the organization, as well as leading the transformation of the Company’s employee survey process. 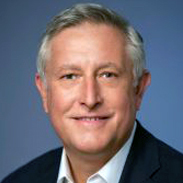 In addition to his roles at Johnson & Johnson, Allan also held senior level positions in HR and organizational development at the National Center of Healthcare Leadership and Bracco Diagnostics. 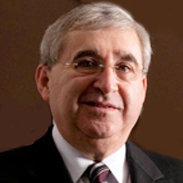 He is Vice Chairman of Atlantic Health Systems and serves on its Board of Directors. He also serves on the advisory board of Overlook Hospital. Cevey SYSTEMS offers systems that are designed for organizations seeking to drive change, and achieve higher performance. We combine rational and emotional management with innovative learning techniques; the result is substantial, lasting growth. We offer training and coaching services for performance enhancement, with a focus on action learning; in doing so, we address mind set and competencies in areas such as management, teamwork and sales. We find and analyze performance processes that have a potential for success; we turn them into economical, value-added and measurable factors that boost the success of your organization. Pinnacle Group Australia is a leading-edge management consulting firm that works with clients to deliver high quality, customized solutions that transform organizations and drive long-term success. We provide strategy, organizational alignment and leadership development services in in the health, education, human and community services, corporate and government sectors.